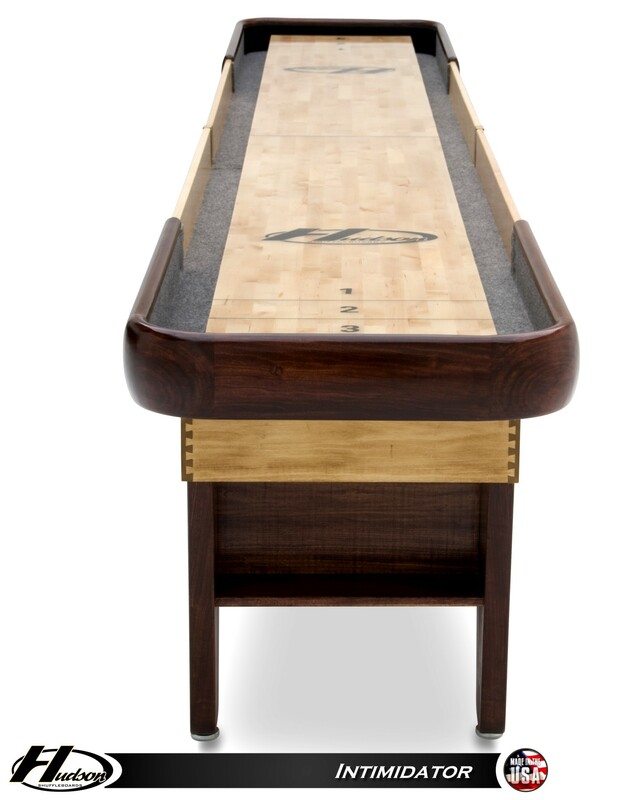 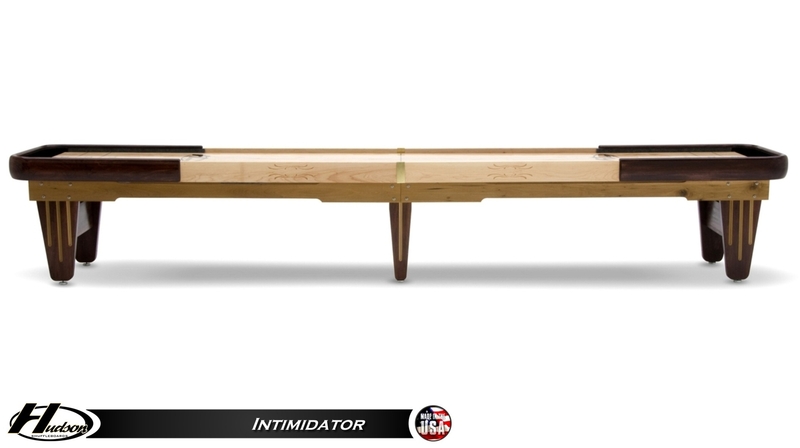 Clean lines and quality come together in Hudson's 12' Intimidator shuffleboard table. 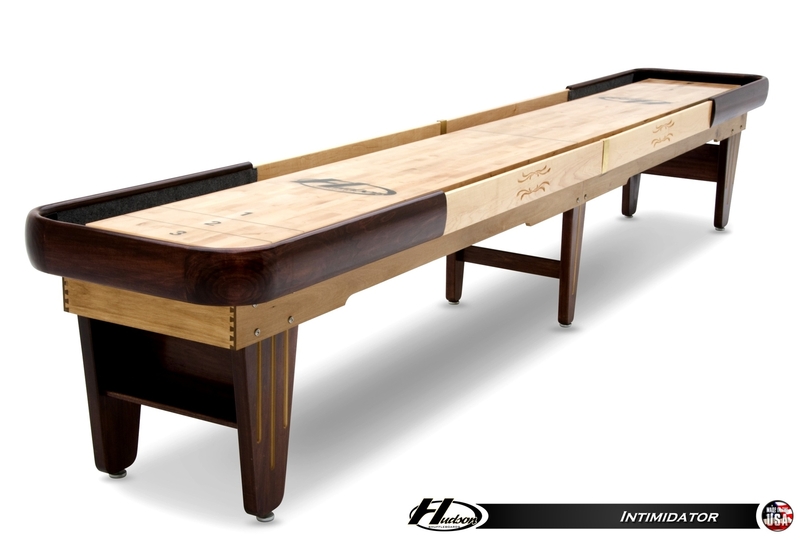 Constructed of solid wood, the cradle and tapered legs with flutes are made from poplar, a durable hardwood. 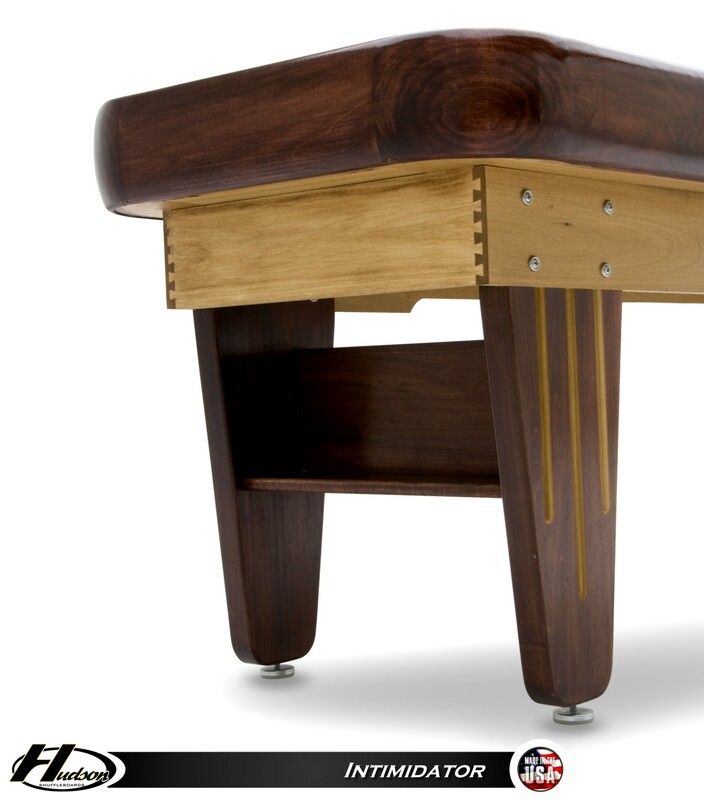 Both the cradle and legs can be finished in any combination of Espresso, Honey Oak, Rich Walnut, Fruitwood, Mahogany, Cherry, or Natural Finish stains! 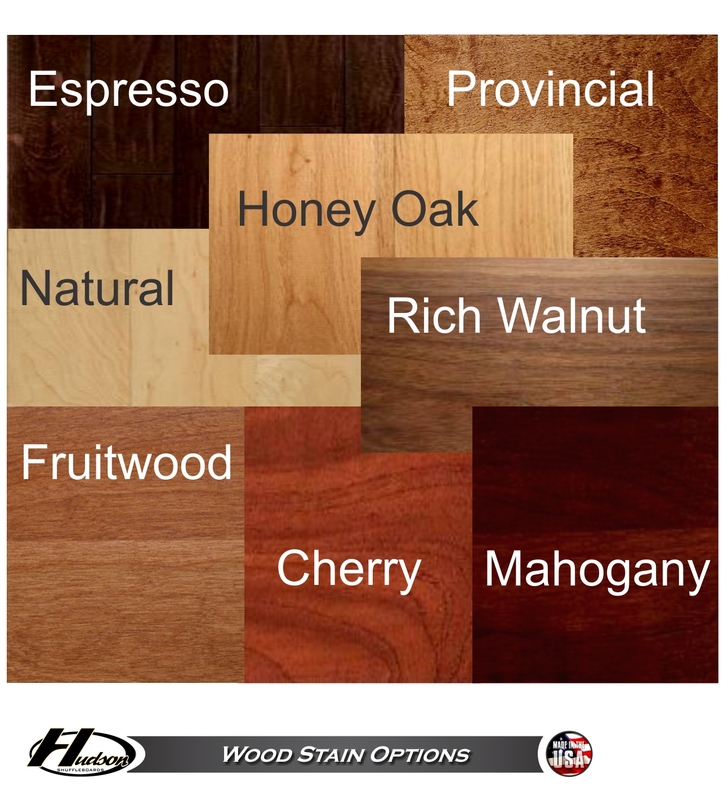 This choice of stains ensures you'll create a table that perfectly matches your personality and your decor. 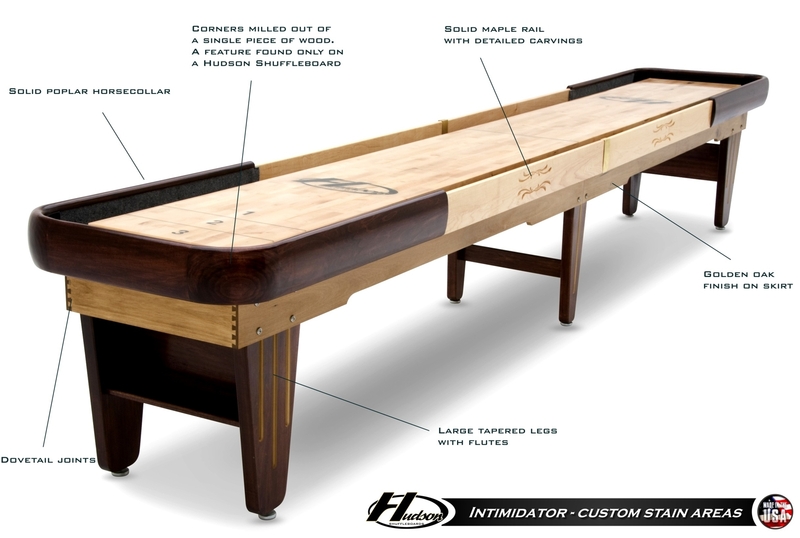 The Intimidator's detailed carvings on the solid hard rock maple top rail and horsecollar, which is milled out of single pieces of solid wood, are a true representation of Hudson's commitment to handcrafted quality. 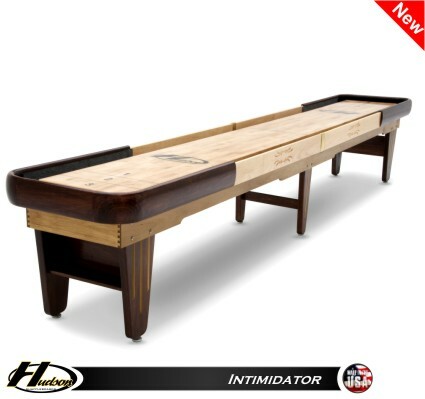 With a playing surface constructed of select kiln-dried Hard-Rock Maple and topped with Hudson's exclusive Polymer Finish, the Intimidator is built to last and impress. 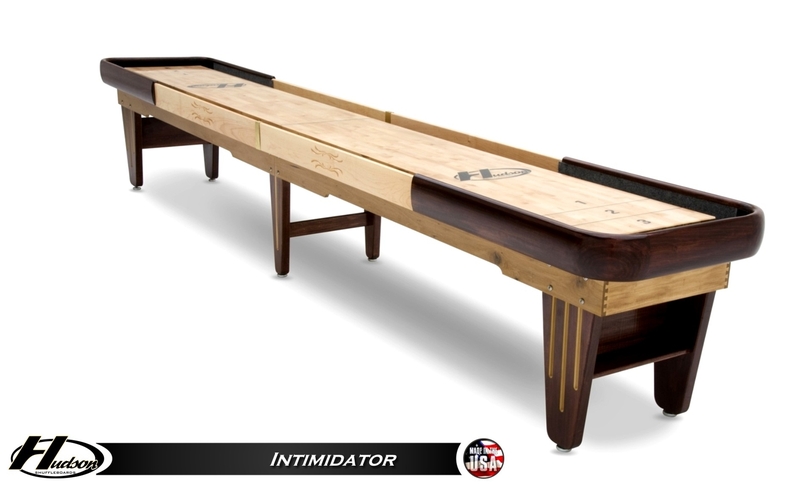 Bring American quality and detailed design into your entertainment space, and order the Intimidator today! 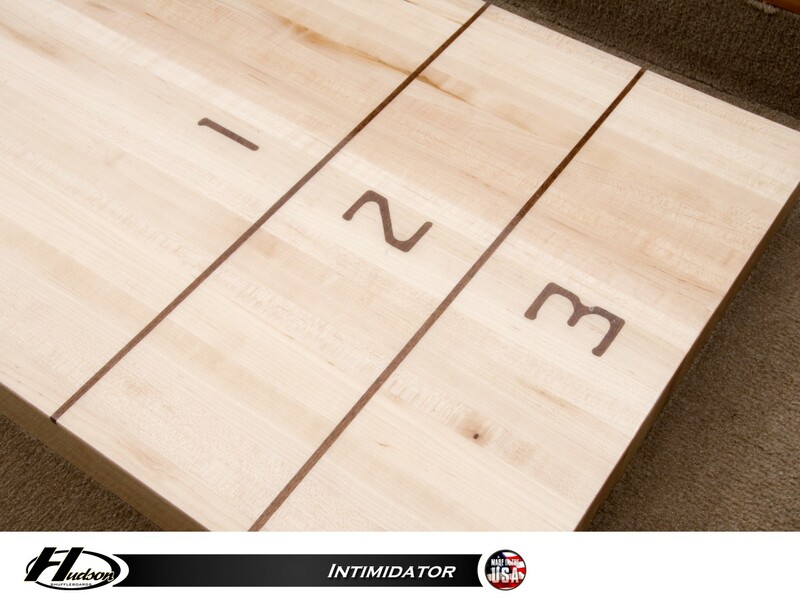 Solid 3" Thick Select Kiln-Dried Hard-Rock Maple Playfield with our Polymer Finish (Lifetime Warranty). 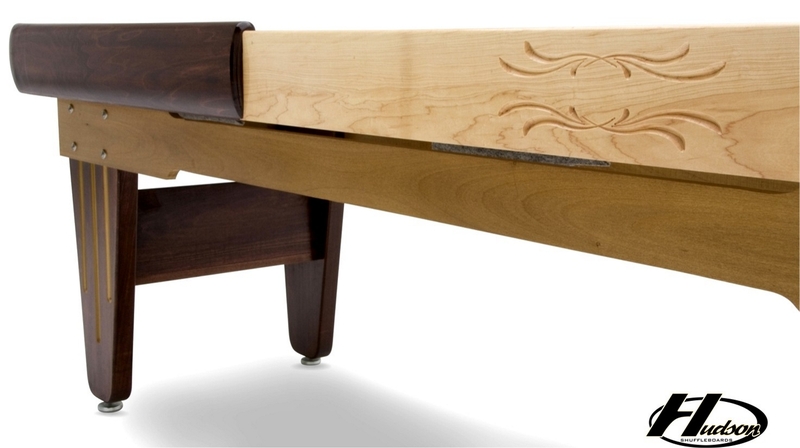 Cradle and Legs are Solid Poplar. 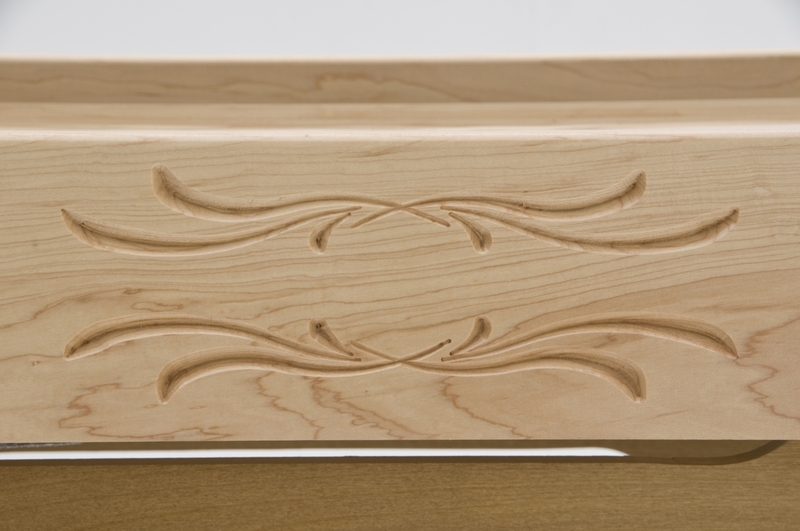 Top Rail on Cradle is Solid Hard Rock Maple. 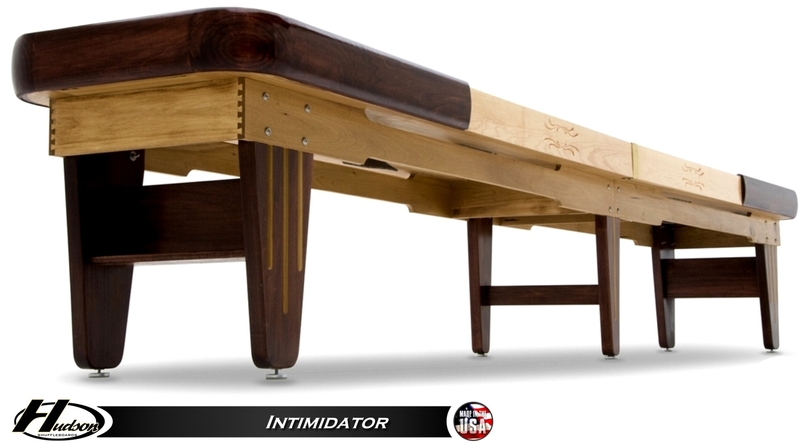 Solid Legs with a Stylish Tapered Finish.